Food & WineDid You Get the Memo? During a recent tasting in my home of a variety of new wines, soon to be appearing at an LCBO near you, I was struck by a certain sameness about these wines. I don’t mean they all tasted the same, but what I did notice was they all had an inoffensive quality to them. There was nothing great or outstanding about them – but they also all had the ability not to wow, on any level. I don’t know about you, but I want a wine I can describe if need be (an with me the need is greater then the average), I want something I can sing the praises to friends about, something with character, something that makes me say, "Man I`d like another glass of that" or “I wish I bought more”, instead of, "I could take it or leave it". They are all wines with fun sounding names, from companies you recognize and are getting funky new labels with shoes or animals on them but definitely marketed towards women. They are all easy drinking, passable wines but with so little character it’s hard to get past the first glass. Yeah you’ll take a refill but meanwhile you’re looking to see if maybe there’s something else on the table - something that will hold your interest longer. Something you really want to drink instead of just needing something in your glass for show. Don’t get me wrong, these are easily consumable wine, very consumer friendly, and all well-priced under $15 ... but if I were to put them in front of you side-by-side you’d be hard pressed to tell the difference one from the other. Is this the way we are heading with our wines? Are we staring down the barrel at a bunch of homogenous wines with no distinguishing character of origin or grape? Is this what the Ontario public is crying out for? I seriously hope not, because if we are I want off this ride right now. Please tell me this is not the case. The French call origin "Terroir" and is what you taste in a glass of wine that has a specific home of origin, an American writer coined the term "Somewhereness" to give the term an English spin and something we could all understand; but what it all boils down to is a sense of place in the wine you 're drinking ... It 's what makes people say, "I like Australian Shiraz", or "My first love is Chilean Merlot". It’s what prompted our ancestors to like Bordeaux, wines from the Medoc, Pauillac or St. Julien, Burgundy: Nuits-St.-George or from Cotes du Beaune, Pouilly-Fuisse (Chardonnay), Loire (Sauvignon Blanc), Chateauneuf-du-Pape (big red blends) as oppose to just the Rhone Valley and countless other region specific wines. Nowadays we put the grape name on the front label (except for the French - but I hear that may change) - so you know your grape of choice as well as the country, but are we really getting away from the regionality behind that glass of wine? The truth of the matter is no, more and more new world wine producers are putting vineyard designations or more specific regional designation on the label: Paso Robles, Knights Valley, Short Hills Bench, Robyn's Block, Julia’s Vineyard ... to further help you pinpoint your vinous love of choice. 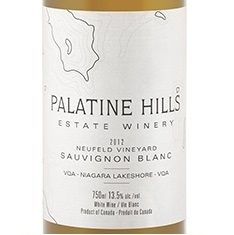 So with all this refinement going on when did we collectively tell the LCBO that we want wines that taste the same, that we want wines from Ontario to be indistinguishable from French wines or Italian wines? When? Because somehow I missed the memo ... and I hope you will ignore this push too. Pinot Noir fans can rejoice with a couple of nice Californian offerings from specific regions with very different tastes. La Crema Pinot Noir 2008 Los Carneros ($44.95 - #0058024) has the earthy usually found in good Pinot with black cherry backing it on the nose, the palate is more fruit forward as with California Pinot but also with a touch of earthiness and beet root on the finish (****). Something a little juicier in the Pinot department with loads of black cherry (minus the earthy) is the Santa Barbara Winery 2009 Pinot Noir Santa Rita Hills ($20.95 - #0942946) – (*** ½+) … both released in the July 23 vintages release. Going Local, or Is That Just Plain Loco? 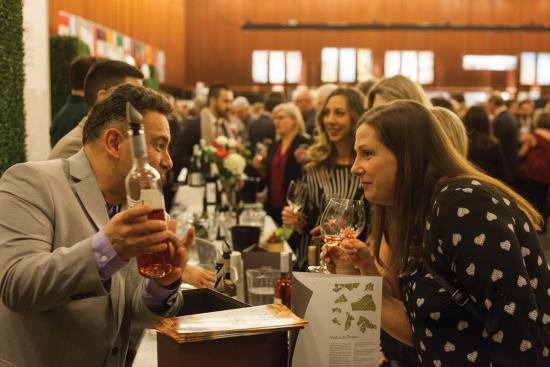 In all, 25,000 wine fans took over the Vancouver Convention Centre where 43,000 bottles were opened, and 82,000 wine glasses were used during the event.